Don’t Lose Your Credibility by Misusing These Words, Too! We’re back again with your next installment of the most commonly misused words in the English language. Our last edition certainly struck a chord with many authors as we listed some of your biggest pet peeves or offered points of grammatical clarification. Let’s take a moment to discuss what happens when an error does see the light of day. It’s always a humbling moment when, as an Expert Author, someone points out grammatical errors or inconsistencies in your published articles or on your site. Use these errors as moments of discovery by adding them to your proofreading lineup to strengthen your writing skills and maintain your credibility as an Expert Author. affect – To have an effect on; make a difference to; an emotion or desire. Incorrect: Chocolate effects my behavior. Correct: Chocolate affects my behavior. effect – To bring about; to cause something to happen; a change that is a result of an action or cause. Incorrect: Chocolate has an incredible affect on behavior. Correct: Chocolate has an incredible effect on behavior. allot – To give or to apportion something to someone as a share or a task. Incorrect: I will a lot 3 prizes to the winners. Correct: I will allot 3 prizes to the winners. a lot – (never alot) A large amount, very many; also, very much. Incorrect: I like monkeys allot. There are alot of them at the zoo. Correct: I like monkeys a lot. There are a lot of them at the zoo. Please note the context of a piece of land or lot, as in “a lot”, is also acceptable; however, it’s not a common usage error. then – At that time; at the time in question; after that, next, afterward. Incorrect: I went to the zoo and than to the park. Correct: I went to the zoo and then to the park. than – Used in expressions when introducing an exception or contrast. Incorrect: Bob is shorter then Ralph. Correct: Bob is shorter than Ralph. lie – To be in or assume a horizontal or resting position; the way, direction, or position in which something lies. Please note we will not be discussing “lie”, i.e. to tell a falsehood or to fib, because it’s not a common usage error. Incorrect: I am going to lay down for a nap. Correct: I am going to lie down for a nap. lay – To put down (generally carefully or gently); the general appearance of an area. Incorrect: I am going to lie the baby down for a nap. Correct: I am going to lay the baby down for a nap. desert – To abandon; a dry, barren area of land; barren. Incorrect: The nomads desserted the dessert in search of water. Correct: The nomads deserted the desert in search of water. dessert – The sweet course at the end of the meal. 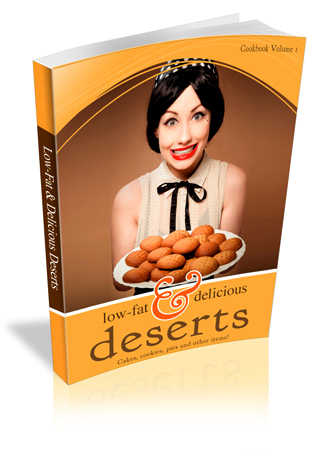 Incorrect: Did you see this low-fat and delicious desert recipe? Correct: Did you see this low-fat and delicious dessert recipe? We will have another installment of the most common misused words over the next few weeks, so stop by the Blog again for new grammar and spelling tips to ensure your articles are error free. Not only will these tips help you maintain your credibility, but they can be applied across multiple platforms and help you drive more traffic to your blog or website! Did you miss our last edition of Top Misused Words? Check it out here! I always struggle with effect and affect. So I try not to use them and arrange my writing around them. There’s an easy way to keep effect and affect apart. Only use affect when you can substitute ‘influence’. That’s a great tip. How strange is the English language. Getting effect and affect mixed up, can be deeply affecting …and could effect your day. @Craig Hawkins – Shouldn’t “…and could effect your day” be “…and could AFFECT your day”? Thank you! That will work! Except that influence also works in the correct ‘effect’ sentence so not foolproof. Another that is misused quite a bit is ‘bring’ and ‘take’, probably more conversationally than written but often misused nonetheless. Thank you so much for this! This just happened THE words I mess up most! Useful series. Did you do one for the word ‘usage’ yet? I hear it used all the time and I know its wrong – but its so confusing trying to use it correctly! We haven’t highlighted “usage” yet. We’ll keep it in mind for one of our upcoming installments of this series. Great Post this. Helps having these corrections right there just in case. I think people want to follow the logic of “cannot” (but, of course, “cannot” is legal!). I’m amazed at all the intelligent people who mix these up. I like your emails on misused words. The convicted murderer was hanged at dawn. The maid hung the laundry in the restroom. Have the two words been used correctly in the sentences? The basic grammatical principle is one should use “hung” except when capital punishment is being imposed or someone commits suicide. In the case of the latter, one uses “hanged”. He is hung up on his ex. (Hung – emotionally confused). One of the most common errors is “deserts” in “just deserts”; it’s often misspelled as “just desserts.” (By the way, where should the period (.) be at the end of the preceding sentence — before, or after, the quotation marks? Thanks. Periods and commas go before the quotation mark (in American writing). Moreover, colons and semicolons go after the quotation marks. Exclamation and question marks vary: If the question or exclamation applies only to what is inside quotes, then the mark goes before the closing quotation mark. Conversely, if the question or exclamation applies to the whole sentence, then the mark belongs after, at the end of the sentence. Sorry for getting verbose here: I guess you “got me started”! You are correct, “just deserts” is the proper spelling. In the case of the proper placement of quotation marks, you would want to put them before the punctuation (period) in this case since the punctuation is not part of the enclosed phrase. Marc, if your advice for period/quotation placement is geared toward an international audience, then perhaps you are correct, but I’ve always been told to keep commas and periods inside the quotation marks, regardless of logic, in American writing. My advice was not geared to an international audience … it was simply wrong. I didn’t do the in-depth research I should have and my response was based on misinformation I had gathered along the way. Thankfully, people like you are willing to set me straight. In this case, it is very much appreciated. I constantly strive to provide good, and accurate advice on the EzineArticles blog. Unfortunately, in this case, I failed in that duty. My sincere thanks to you and my apologies to those whom I have misinformed. The advice I gave you regarding the use of punctuation within quotes was incorrect. Please see my response to GJC above and his correction of my error. The fact is that the punctuation belongs inside the quotes no matter what. I hate the ‘then’ and ‘than’ it pops up red on me quite a lot. Noticed I used the right term of ‘ a lot.’ lol. One of the most common errors is “flesh” and “flush”. To flesh out is to add flesh to a skeleton, or metaphorically to add substance to an incomplete rendering. To flush out is to cause game fowl to take to flight, or to frighten any quarry from a place of concealment. I’m happy to know I have been using (then vs. than) correctly without knowing the difference (English is my 2nd language). I really appreciate these updates and look forward to learn more, have a great weekend my friend! Those are some of the common mistakes even the great Shakespeare also made. Please explain how ‘just deserts’ makes sense. Always thought it was ‘Just desserts’ as in a well deserved reward, not ‘just deserts’ as in left with no warning. Seriously, “just deserts” refers to the consequences that are deserved. A person’s worthiness or entitlement to reward or punishment: “the penal system fails to punish offenders in accordance with their deserts.” “Desert” also means: A person’s worthiness or entitlement to reward or punishment. However, “desserts” refer to a part of a meal. Conversely, if the question or exclamation applies to the whole sentence, then the mark belongs after, at the end of the sentence. Still seems wrong to me. Desert is a dry and arid land or to abandon someone. Dessert is something sweet or a reward for eating your vegetables. Regarding the “just des(s)erts” question, I don’t really know which is correct. My only comment here is that I usually hear the expression pronounced with the emphasis on the second syllable, rightly or wrongly, like that last course of dinner. I always thought the expression incorporated a generous helping of sardonic humor! A good point to remember: “dessert” (what you have after a meal) can have two helpings – “s” times 2! Marc is right regarding “just deserts”: It’s amazing what you can learn by simply looking it up! With this phrase it isn’t the origin that is interesting though, but the spelling. I am often contacted by people pointing out that ‘just deserts’ is misspelled. They go to great lengths to explain why it should be ‘just desserts’. They are wrong, but perhaps understandably so. desert- Deserts is now almost always used in reference to desolate and arid regions of land. Its use to mean ‘that which is deserved’ is now largely limited to this single phrase. – Desserts – the last or sweet course of a meal – is widely used and is pronounced the same way as the deserts in ‘just deserts’. dessertSo, when hearing the phrase with the pronunciation like ‘desserts’, people think it must be spelled that way too. The spelling might be more intuitive if we thought of the phrase as ‘what you justly deserve’. Most of the correspondence pointing out the ‘error’ comes from Australia. That may be coincidence, although it could be that, living in a hot, English-speaking country, Australians have more exposure to hearing the word deserts with the stress on ‘des’ than the rest of us. Sorry before I finished this disappeared. Thanks for the article and it was very educative and interesting too. I was surprised to these blunders and that too in the article and how these escaped the spell check and article proof reading. I always check and double check and check with the dictionary before I put in the article. Normally I am very good in words spelling, but the mistakes occur due to my poor typing. I think if one checks few times and check with the dictionary also, we will have less chances of making these blunders. But reading this articles keeps you aware of these mistakes and make you to be cautious not to commit the same once again. “To” and “Too” always gets me. I’m accustomed to using “alot” instead of “a lot” in my article writing. Same is true with “desert” and “dessert”.